See also our bibliographies in English, French, German, Spanish-Portuguese, Complexity Science, and "Other. Michael Howard (citing Hahlweg's introduction to the 16th German edition, 52) noted in his introductory essay to On War ("The Influence of On War"), 37-38, that Vom Kriege's publisher, Dummlers Verlag, sent an advanced copy of the fifth edition to Japanese General Count Jamemoto Kuroki (1844­1923) in 1904. Kuroki, victor over Russia in the battle of the Yalu, responded that Clausewitz's work had already been translated into Japanese and had been a significant influence on Japan's conduct of the war. Just which work of Clausewitz-and which translation-Kuroki was referring to is problematical. Some Japanese officers being trained in Germany became familiar with Clausewitz c.1887. At some point, a Japanese translation of the Principles of War was made, evidently based on a French translation: Taisen gakuri, published by the Gunji Kyoiku Kai (Association for Military Education) in 1903 if not before. On War itself was translated by Mori Ogai (a medical oficer in the Imperial Army better known as a novelist and poet), as Senso ron beginning in 1899. Mori had earlier (1888) translated portions of the book orally at the request of Japanese officers in Germany. Mori produced copies, but it does not appear to have been officially published as a book; parts of it appeared as a serial in a local newspaper, Moji Shinpo, in February-May, 1904. Shimada Kinji, Amerika Ni Okeru Akiyama Saneyuk (Tokyo: Asahi Shinbunsha, 1975), 252-253.) It appears in Mori's collected works. There appear to be at least two other Japanese translations of On War: Karl von Clausewitz, trans. Shinoda Hideo, Senso ron (Tokyo: Iwanami Shoten, date uncertain), 3 vols. [Encyclopedia Japonica (Tokyo: Shogakugan, 1968), v.6, p273]; trans. Tantoku Saburo, Senso ron, Genda­ in No Tame No Koten Sirizu 10 (Tokyo: Tokuma Shoten, 1965). 1. Goda, Yutaka. The Life of Carl von Clausewitz. Tokyo, 1982. 2. Ido, Mitsuaki. The Foreword of the Work, On War. Tokyo, 1982. 3. Ohhashi, Takeo. Explanations of the Foreword to On War. Tokyo, 1982. See also Yugo Asano, "Influences of the Thought of Clausewitz on Japan since the Meiji Restoration," in Ulrich de Maizière (Hrsg), Freiheit ohne Krieg. Beiträge zur Strategie-Diskussion der Gegenwart im Spiegel der Theorie von Carl von Clausewitz, Bonn: Dümmlers Verlag, 1980, pp.379-396. 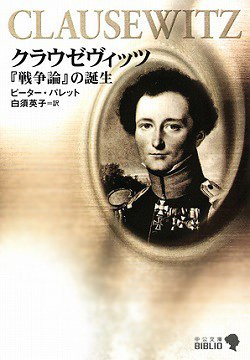 The following items are listed by Dr. Takeshi Oki, "Clausewitz in 21st Century Japan," pp.204-210 of Clausewitz Society [Clausewitz Gesellschaft, Hamburg]. Pommerin, Reiner, ed. Clausewitz Goes Global: Carl von Clausewitz in the 21st Century. (Commemorating the 50th Anniversary of the Clausewitz Society.) Berlin: Carola Hartmann Miles Verlag, 2011. ISBN: 9783937885414. Yugo Asano," Clausewitz to kindai nihon" (Clausewitz and the Modern Japan) 3-1, Rikusen Kenkyu (Studies of Land Warfare), No. 328, 1981, pp. 27-30. Georg Kerst, Jacob Meckel: Sein Leben, sein Wirken in Deutschland und Japan, Göttingen 1970. Tohru Maehara, "Nihon rikugun e no Clausewitz no eikyou" (The Influence of Clausewitz upon Imperial Japanese Army) 1, Gunji-Shigaku (Military History Studies), Vol .19. No.1, 1983. Yugo Asano, "Clausewitz to kindai nihon" (Clausewitz and Modern Japan) 3-2, Rikusen Kenkyu (Studies of Land Warfare), No. 329, 1981, pp. 11-14. Takichi Shimizu/Tomoyuki Ishizu (ed. ), Clausewitz to sensoron (Clausewitz and ‘On War’), Tokyo, 2008. Yasuyuki Kawamura, "Clausewitz no 'sensoron toha nanika" (What is Clausewitz’s ‘On War’), both in S/I. [Yu Tiejun, also writing in Pommerin, ed., also lists Yasuyuki Kawamura, "Historiography: For the Study on Clausewitz," The Journal of Strategic Studies (Japan), no.1, 2003, pp.111-171. Tadashi Suzuki, Puroisen Gunseikaikaku - gaikan to tenbo (Prussian military reform - an outline and the prospect), all in S/L. Tomoyuki Ishizu, Clausewitz to Liddell Hart - 'Zettai senso' to 'Seigen senso' no sokoku? (Clausewitz and Liddell Hart - An antagonism between ‘Unlimited War’ and ‘Limited War’? ), all in S/L. Satoshi Nagasue, Clausewitz no sennryakugainen to air power (Clausewitzian concepts of strategy and air power), in S/L. 1. Kurauzevittsu no heigaku, 1942, Sakabe Goro cho, call number U21.C55516 1942. 2. Wa-Kan-Yo tosui yodan. [16 i.e. 1941] 2, 2, 3, 306 p. illus. 19 cm. Romanized, call number U102.O48. 3. Vom Kriege. Japanese Taisen gakuri / Theorié de la grande guerre. Kurauzevittsu cho. Tokyo : Gunji Kyoikukai, Meiji 34-36 [1901-1903] 8 v. ; 23 cm. Vol. 3-8 has parallel title: Theorié de la grande guerre. Vol. 1-2: translated by Mori Rintaro in 1903, from German: Ueber den Krieg. Vol. 3-8: translated by Rikugun Shikan Gakko in 1901, from French translation: Theorié de la grande guerre. Vol. 1-2 published in 1903. Vol. 5: 1907 printing; v. 5-8: 1908 printing. LC copy imperfect: v. 6, pt. 1-2, t.p. wanting; v. 1-2, t.p. and all after p. 210 wanting. 1-2. Senso no honshitsu - 3. Senryaku hen - 4. Sento hen - 5. Heiryoku hen - 6. Shusei, sangaku bogyo - 7-8. Kosei hen. Call number U21.C55516 1901. 4. Kurauzevittsu no angobun. Hirose Takashi. Tokyo : Shinchosha, 1984. 283,  p. : ill. ; 20 cm. Bibliography: p. . Call number U21.2 .H55 1984. 5. "Sensoron" o yomu Hasegawa Keitaro. Kyoto : PHP Kenkyujo, 1983. 226 p. : ill. ; 18 cm. Series: Nijuisseiki toshokan ; 0027. Call number U102.C6643 H37 1983.